Novascotiamiss is Patient 55'000 on the Nova Scotia Doctor Waitlist. Instead of waiting, she is researching alternative survival strategies. I have just joined the millions of Canadians who have no Family Doctor. My practitioner is retiring at the ripe old age of 70 with no replacement in sight. I put my name on a waiting list of currently 55'801 people who worry sick how they will get their prescriptions renewed or who will look after them when their health fails. In my area, we have one emergency department at the Middleton Hospital and one walk-in clinic in Berwick which is only open 4 hours a day. In both communities together we have a total of 5'040 waiting patients with more doctors leaving in the next few months. With a huge senior population and limited access to public transportation, most people will end up at the Middleton Emergency Department. 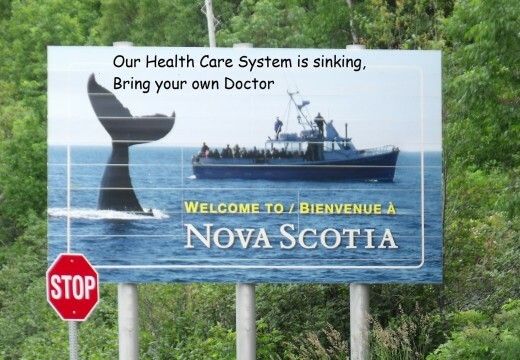 Canada, and particularly Nova Scotia is in a Health Care Crisis and our Politicians are in denial, promoting Canada and as one of the best places to live in the world due to supposedly free and universal access to Health Care. In reality, Canadian tax payers pay dearly for an expensive, outdated and totally inefficient system which is ripe for an overhaul.Our Government doesn't want a two tier medical system as everybody should supposedly have the same access to good health care. Sounds great, but in reality we already have a two tier system: The people who have a doctor, and those who don't! I am sure the word patient must have been invented in Canada, as it means "A person receiving or registered to receive medical treatment / able to accept or tolerate delays, problems, or suffering without becoming annoyed or anxious". For Millions of Canadians like me, the only access to Health Care is via the Emergency Department of their local hospital or a walk-in clinic that only treats a small number of patients per day. Yes, it is absolutely true that Canadians go to their Hospital with a common cold, blocked ears, a tick bite or to get a prescription renewed. It is also true that Canadians spend hours or days waiting in crowded waiting rooms. They are not patient Patients by choice, it's because of lack of other options. This inefficient system of ER and walk-in clinic doctors costs Canada Millions of Dollars a day, not to mention all the revenue lost by waiting patients. Our Government has been blamestorming instead of brainstorming for years and is still bringing in more people to fill our already overflowing waiting rooms. Our ridiculous system does not support private health care providers and does not allow them to charge money for insured services. Our few Specialists have long waiting lists as they have to perform trivial services which could easily be taken over by less qualified staff. 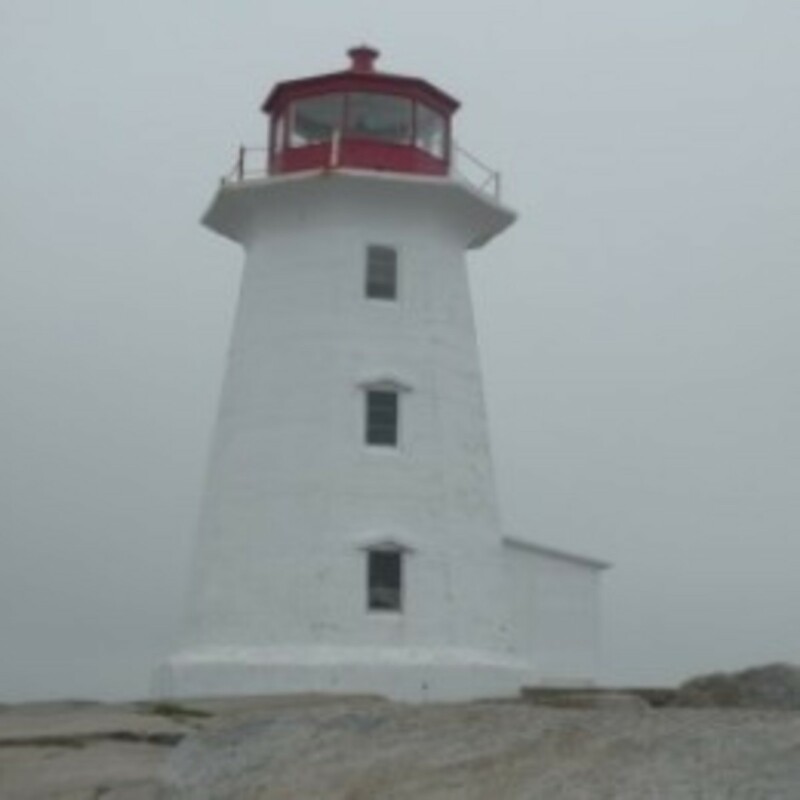 As an example, Nova Scotia has a relatively old population and one of the nations highest skin cancer rates. Our government has come up with a Skin Cancer Prevention Strategy but totally ignores Skin Cancer Detection and Treatment. It is practically impossible to have a routine skin check as we only have a handful of overworked dermatologists with wait times of months or even years. Most dermatologists also offer non-insured treatments such as Botox injections and age spot or tattoo removal. We seem to have an abundance of skin care clinics that offer non-insured beauty treatments but none of them are allowed to perform insured skin cancer checks or removal of precancerous lesions which can lead to a deadly melanoma. As an aging person with fair skin and red hair I am particularly at risk but I have nowhere to turn to. 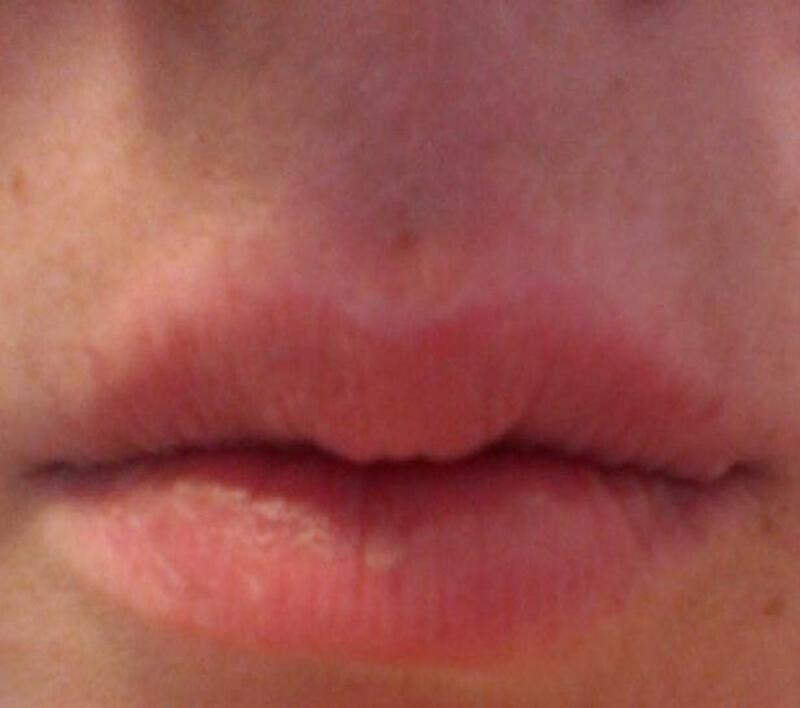 The knowledge that I can die wrinkle free with botoxed lips does not comfort me in the least. That's why I lobby for better Health Care Solutions for Canadians without a Doctor and continuously look for alternative ways. Prepare well for your last doctor visit. It may take years before you can talk to a familiar face again and you may be stuck in walk-in clinics and emergency departments. Discuss all your concerns and take notes. You can apply for the release of Personal Health Information via the link below. The Nova Scotia Health Authority will charge you a $ 34.50 processing fee (including up to 25 copies). In my opinion this service should be free to patients who do not have a doctor! As soon as you hear that your Doctor is leaving, immediately put your name and all your dependants on the Wait List. This may be your only chance ever to find a Family Practitioner and the sooner you get in, the shorter the wait. It's first come, first served, so even if you have a severe medical condition, you will likely have to wait for an eternity. If you think that your Doctor's practice will be taken over by another Doctor, you still have to be on the list. Remember, it's first come first served. Same applies to the practice that just opened across the road. Unless it's a walk-in clinic, you won't get in. If you are a healthy person who has never had a Doctor, put your name on the Wait List anyway. By the time it's your turn you will likely be much older and in need of a Doctor. Our government is currently still in denial and says that the current trend is encouraging as last month more people got of the list than new patients joining it, we have to prove them otherwise. On December 1, 2018, over 55'801 people were on the list, however according to the NDP approximately 106'000 people are without a doctor. The government needs to be reminded that we have a crisis. The statistical data is split into regions. If our government had concrete data, they would recognize that some areas are particularly hard hit and require additional resources. If you aren't on the list, you don't count. Once you are on the wait list, be prepared to wait for a very long time. In the meantime, ask around and try to find a doctor yourself. This service should only be dialed in situations that require immediate attention or the dispatch of an ambulance. For smaller medical problems dial 811. Whether you have a minor or major health concern and don't know how to proceed, friendly registered nurses will listen to you around the clock and give you the necessary advice. They will assess the situation with a few simple questions, tell you what the best home treatment is and in case of emergency will point you to the nearest emergency department. They can also sign you up on the Doctor Wait-list but they cannot actually help you find a doctor. An extremely valuable service which I have tried out on two occasions and found very helpful. 211 Nova Scotia is a free helpline that connects you to community and social services in your area 24 hours a day, 365 days a year, in over 150 languages. As the name indicates, an Emergency Department is dealing with Emergencies (acutely ill or injured patients, who need to see a doctor without delay). A Walk in Clinic deals with non-emergencies, e.g. General Healthcare, Prescription Refill, Workplace Injury, Referral Request, Blood Pressure Check etc. However, since the Emergency Department is open 24/7 and a Walk in Clinic doesn't always have the most convenient opening times or public transportation accessibility, many Canadians opt for the Emergency Department, notwithstanding their condition. Unless you are in need of resuscitation, be prepared to wait for many hours or even days! 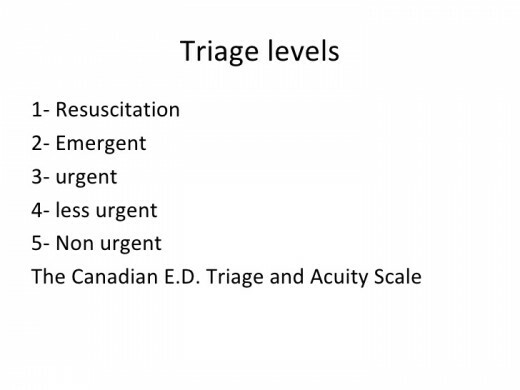 Patients are rated according to groups from 1 (most urgent) to 5 (least urgent), depending on the level of emergency and resource needs. In the private economy we would have Non-Emergency Departments for the millions of Canadians who don’t have a doctor. Just think of a huge grocery store that offers check-out aisles for big shopping carts in addition to express and self-check-out for small shopping. It would be great if in future I could go to a menu screen, like at McDonalds and order a blood work requisition form and urine bottle or a prescription renewal, instead of being thrown into triage group 5. It would also be nice if we could have screens like the ones at the airport, so that we know when it’s our turn. In the meantime we could freely wander around, go for a snack at the cafeteria, visit a patient or shop at the hospital gift shop. Alternatively, a Hospital App could do the same and also inform us, which Emergency Departments are open and how long the waiting queue is. In the private economy we would be customers, that’s the downside of a Public Health Care System. 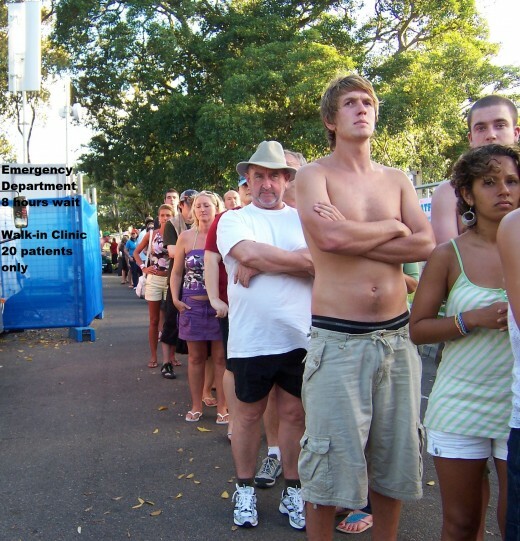 Contrary to Emergency Departments, Walk-in Clinics are more predictable and the wait times much shorter, as they operate under a first come, first served system. You get a number and you wait until it’s your turn or you get an approximate time, enabling you to go and run a few errands. Unfortunately there’s a downside to Walk-in Clinics: Most are only open on certain days and for a few hours, which means that they can only cope with a small number of patients. Once the quota is reached, newcomers are turned away. Therefore, go early and make sure you get a number. You will then be given a time when you can come back for your appointment. Your Pharmacist may be your new best friend for Minor Ailments, Prescription Renewals, Flue Shots, Vaccines etc. For people like me who suffer from a stable condition such as hypothyroidism, this may be the best news yet! Some Pharmacies can renew certain prescriptions (excluding opioids) for up to 90 days. The cost of approx. $ 10 is currently not covered by MSI, but some private health plans may pay. If you don’t want to waste hours at your local Walk-in Clinic or Emergency Room, this is definitely 10 bucks well spent. However, the bad news is that this great service is only available once, due to government red tape. This makes absolutely no sense whatsoever, as it is a win-win situation for both the patient who is willing to pay and the MSI. Less patients in our already over-crowded waiting rooms equals lots of time saved and less cost to the tax payer. Women can schedule their own free Mammograms without a doctor referral at eleven fixed screening locations or one mobile van. Phone 1-800-565-0548 or 902-473-3960 to book an appointment or get more information about this great and efficient service. Highly recommended! You can schedule your own appointment with a Female Doctor at one of the Well Woman Clinics dotted around the Province. The Nova Scotia Hearing and Speech Centers offer free Hearing Tests at locations around the Province. Whether you need a Hearing Test to get a Specialist Referral by your Doctor or to assess any hearing related problems, you can schedule your own appointment. However, I have to warm you that it usually takes months to get an appointment. Please take note that most Private Audiologists (Hearing Aid Shops) can offer the same service at short notice and depending on the circumstances or your age, at absolutely no cost. You have absolutely no obligation to buy a hearing aid! I have wondered what I would do if I suspected cancer or some other disease that requires urgent attention.Troubling reports of ignorant emergency doctors, long waits for tests or specialist visits are a major concern. I have found some alternative solutions which sound expensive but might be worth a try. With Maple you can now see a doctor in minutes, anytime 24/7. Online consultations with Canadian-licensed doctors for medical advice & treatment. Bringing wellness and efficiency back into our healthcare system. Private Health Care Providers: Naturopathic Doctors, Physiotherapists, Chiropractors etc. We have a huge number of highly skilled Naturopathic Doctors and Private Therapists in our beautiful province that can replace the missing doctors. Sometimes a little tweak from a physiotherapist or chiropractor can do the world of good. It's definitely much healthier than over the counter pain killers and money well spent. If you have Private Health Insurance, this is definitely a highly recommended option. The Nova Scotia College of Chiropractors (NSCC) is a self-regulating body for the province’s chiropractic profession. Canadian residents interested in Mayo Clinic can request appointments, get answers to common questions, and read about other Canadian residents' experiences. The taxpayers end up waiting hours in Walk-in Clinics or days at the Emergency Department for small services such as blood work requisition forms or prescription renewals which could easily be outsourced = Additional cost to the taxpayer for time lost from work, organizing babysitter for the kids etc. Walk-in Clinics and Emergency Department only issue prescription renewals for 3 months at the time (previously up to 12 months by family practitioner) = Additional cost to the taxpayer for 4 x visits (time lost, babysitter, transportation cost, additional dispensing fees by pharmacist etc). 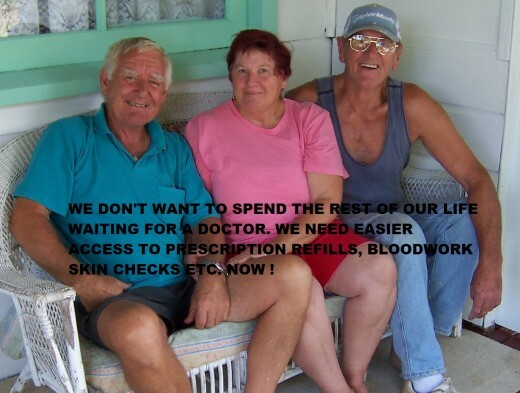 What is the solution for snowbirds who previously got a 6 month prescription and now have to renew every 3 months. Are they supposed to fly home after 3 months to organize a renewal? Our Pharmacists should be able to order and get access to bloodwork and write out prescriptions. Just one emergency prescription for 3 months is not enough, we will have the same problem again in 3 months time! The minor ailments list should be extended, so that Pharmacists can provide more services. The taxpayer has already paid taxes and should not have to pay the Pharmacist, again. These costs must be covered by the Government. Our Government brags about wonderful long-term solutions such as collaborative practices, which take years to set up. We need immediate solutions for now in addition to the overloaded Walk-in Clinics and Emergency Departments. The taxpayer should come first. The government must sort out the infrastructure before trying to attract more people. The more people complain, the less attention we will get from the responsible departments. The Nova Scotia Health Authority would love to hear your compliments and/or concerns. You can share these directly with your health care provider(s) or unit/department manager, or you can contact our patient relations team, listed below. Vote for the party that makes Health Care a priority. Don't just vote for the best looking guy! Put up sign in your driveway e.g. 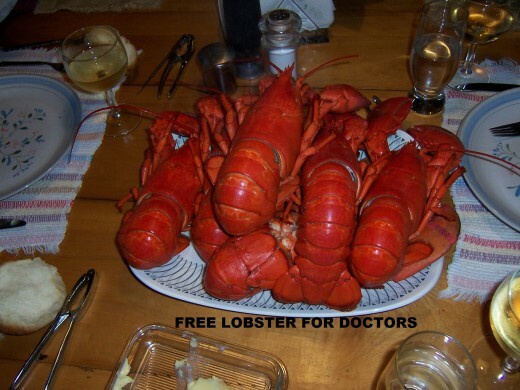 "Family of 4 looking for Doctor" or "Lobster Fisherman offering Lobster for Doctor" etc. Design T-Shirts for the whole family e.g. "Novascotian desperately looking for Doctor", "Nova Scotia Senior without a Doctor, would rather be fishing than queuing" or "Nova Scotia: Free Lobster for Doctors etc." Write to your Newspaper etc. Be an Ambassador for your Province and tell people how wonderful Nova Scotia is. Don't forget to tell your children and send them to medical school. Remember, you only have one life and you are responsible for your own health. You are the first line of defense and if you look after your body well, you may actually survive until your name comes up on the doctor wait list. Enjoyed this. Very comprehensive. Enjoyed your sense of humor, too. (Humour, in Canada, right? I was born there -- Calgary.) Some of my ancestors were among the first to settle in East Margaree, Inverness. I am amazed to read how dire the medical services situation is in Nova Scotia. I like the part you included about naturopaths. 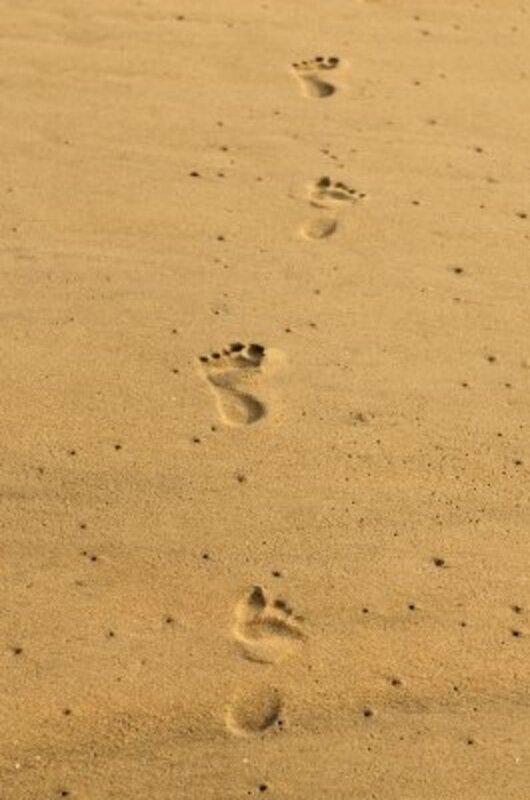 A good naturopath can save a person months and months of tests and pain or discomfort. Twice in Canada (BC) where we lived, a naturopath helped my husband and then me -- figured out the problems in minutes -- when the town doctors couldn't help at all. So glad to see the issues out in the open along with some options and solutions. Americans need to think about what it means when good docs decide they will do something else or go somewhere else to make their living because politicians decide to practice medicine.